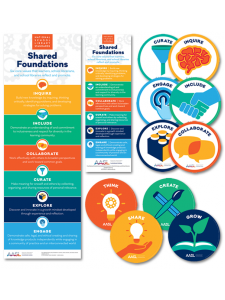 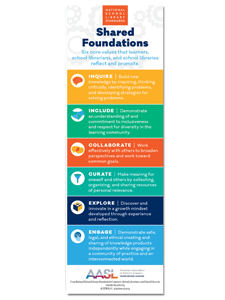 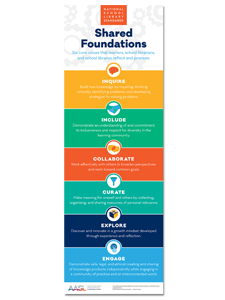 Decorate your school library spaces with AASL Standards Clings that promote the Shared Foundations (Inquire, Include, Collaborate, Curate, Explore, and Engage) from AASL’s National School Library Standards for Learners, School Librarians, and School Libraries. 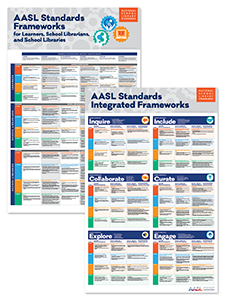 Remind learners and stakeholders of the core values and competencies being advanced through their work in the school library. 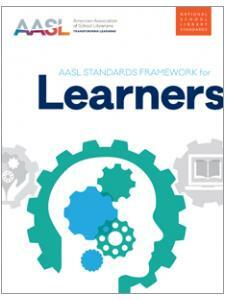 Developed with the American Association of School Librarians (AASL). 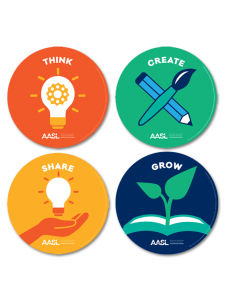 Six clings, one of each design.